When applying visa, or on your one way trips around the world, the proof of onward flights is a mandatory requirement. But applicants often misunderstand this requirement. You do not need to actually purchase a ticket, that you might nit use. Buying a ticket prior to visa approval means to take a risk of losing money when their visa application is rejected. Visa consulates recommend for applicants not to purchase ticket until the visa application is approved. We offer flight reservation that are specifically tailored for visa application purposes. Once you get your visa, you can make your own travel plan and purchase your ticket. Get your flight itinerary with 3 simple steps less than 2 hours. You don’t have to wait 24 hours or pay extra for faster delivery. <strong><em> Book now </em></strong>and get your ticket! How do you want us to call you? Input exactly your NAME as in your passport with English characters only. Input exactly the SURNAME as in your passport with English characters only. Select the country you will virtually travel onward from. Select the country you will virtually travel onward to. Input the date that you want to be displayed on your onward ticket. Select a random date before the date your visa expires. I have read and agreed with terms of service. Payment is secured and processed by Paypal. You can pay using your credit card without creating a PayPal account. What is included in a Visa Application Form? A visa application involves a high bureaucracy. Regulations may vary widely depending on country and visa type. Tourist visas require different conditions than business visas. Here is an overview. Visa application forms for India since November 2011 can only be completed online on an Indian government server. Regardless of the type of visa, the centerpiece of every visa application is the online application form, which must be completed in any case. Foreigners living in Germany who can not prove that they have been living in Germany for 12 months must also fill in an additional form by hand or on the computer. Visa application forms for India since November 2011 can only be completed online on an Indian government server. Through the application forms to be completed online, the government ensures that each applicant is centrally registered in India and that all information, for example, can be retrieved by the police in India at any time. The online application form can not be printed until it is completed. Then it has to be marked with a passport photo and signed twice - on the first page in the top right below the passport photo and on the second side below. Here comes the online form of the Indian Government: https://indianvisaonline.gov.in/visa/. The online visa application forms for India exist exclusively in English. Before you start filling out, you need to have your passport and the addresses and phone numbers of your hotel and friends or business associates living in India ready. You also need to know which of the four Visa Service Centers you submit your application to. This depends on your place of residence or on the location of your agency. If you enter the wrong location, the application can not be edited. If you fill out your application incompletely, it will not print. If you make handwritten changes or additions to the printed form, it automatically becomes invalid. At the top right of the visa application, the passport photo is pasted. Another, identical photo must be enclosed with a paper clip. India does not demand the usual high-rectangular passport photos, but square passport photos in the format of 5 x 5 cm. The photos must be in color and against a light background and show both shoulders. In addition, the photos must be biometric - i. to show the person head-on. Only a slightly indicated smile is accepted. Each Indian visa application form requires two identical passport photos. One is affixed to the request in the top right corner, the other is attached with a paperclip. Each applicant, including children, must have their own visa application with a separate form DS-160. Form DS-160 must be completed and submitted online before the interview at the US Embassy or US Consulate. The barcode number on the confirmation page for form DS-160 is required to agree your appointment. Form DS-160 must be submitted online. The US Embassy or US Consulate does not accept handwritten or typed applications; Without the confirmation page of DS-160 application form, you will not be admitted to your interview. By electronically signing the Form DS-160, you confirm that all information provided is accurate and accurate. Any inaccurate or misrepresentation of the facts may result in your refusal to enter the United States of America. Please make sure that all answers are correct and that all questions have been answered completely. Note: For questions about completing DS-160, see the following website. We are unable to answer or assist you with any questions regarding this process. Fill in the Form and submit it after reading the application for a non-immigration visa. You must submit the document online before arranging an interview at a US embassy or consulate. The embassy or consulate you choose at the beginning of the form must match the location where you would like to arrange your interview. All questions must be answered in English and only using letters that are in the English language, except when stating your full name in the alphabet of your native language. As part of this process, you must upload a photo taken in the last six months. For detailed information on taking and submitting a high-quality photo, visit the Department of State's website here. If you interrupt the application process for more than 20 minutes, your session will expire. You will then have to start again, unless you have noted your application code or saved your application as a file on your computer. Make a note of the application code displayed in the upper right corner. If you need to close the browser before submitting your application, you will need this application code to proceed with the application later. For questions about completing the form, see the following website. We are unable to answer or assist you with any questions regarding this process. If you are familiar with the information on the new visa information system (VIS) and the registration of each participant's fingerprints is regulated, you will need the documents listed here. It is advisable to read the visa center website (Visametric) carefully before visa application, or to contact Germany in case of doubt with the Russian Coordination Office for Youth Exchange. You will find the appropriate form on the page of your competent visa center. Health insurance certificate (Validity: Schengen area or worldwide, amount insured € 30,000 or unlimited, with visa period. Power of attorney for visa application by another person (2 copies: one to apply, one to pick up, power of attorney may be retained. <strong>What</strong>does a flight itinerary look like? We provide an electronic itinerary which contains travel reservation for your flight. This electronic itinerary is for visa application purposes and for proofing itinerary flight by entering a country. Simply provide us with your full name, date and your travel destination to place your order. You will also receive a download link by email. You can use this electronic itinerary to fulfill your visa application requirement and for immigration purposes on your trips. 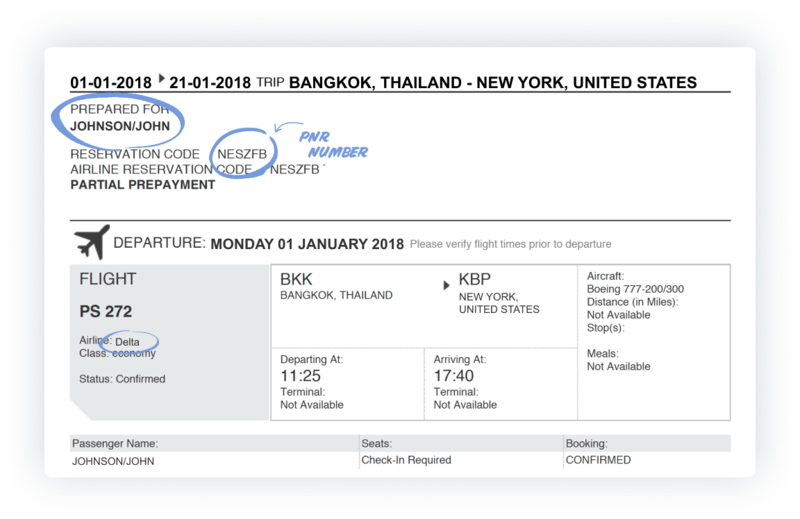 <strong>Where</strong> to get flight itinerary for visa? We don’t ask for confidential information. What we need is your full name, departure/destination city, and/or check-in/check-out dates. <strong>Is</strong> this electronic itinerary accepted? Yes, our electronic itinerary is perfectly acceptable. The embassy actually recommends applicants not to purchase an actual ticket before their visa is approved. 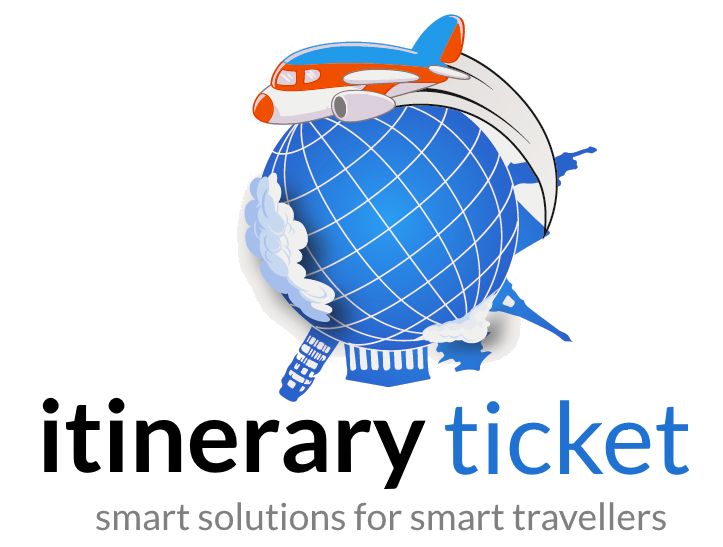 With the electronic itinerary, we eliminate the risk and ticket cancellation worries from you. <strong>Any</strong> recommendations for flight itineraries to/within Europe from the USA? Yes, https://travel-around-the.worldis secure. It runs on a HTTPS protocol, with an SSL certificate. All the data comes from, and goes to https://travel-around-the.world is encrypted. This website uses Paypal to process payments, and the website of https://paypal.com is secure too. <strong>What </strong> is flight itinerary planning? "Wow !I know you promise 3 hours service but I got my documents much earlier. I had just a couple of weeks to apply for my Schengen visa and I got it!" "Everything was perfect and quick! It´s such a brilliant idea to help people saving money and staying flexible!" "Very good idea, and one of the cheapest ifor this service. I was check at the airport without any problem!" "Needed my ticket really fast, due to unexpected circumstances. Everything works fine! Always again!"